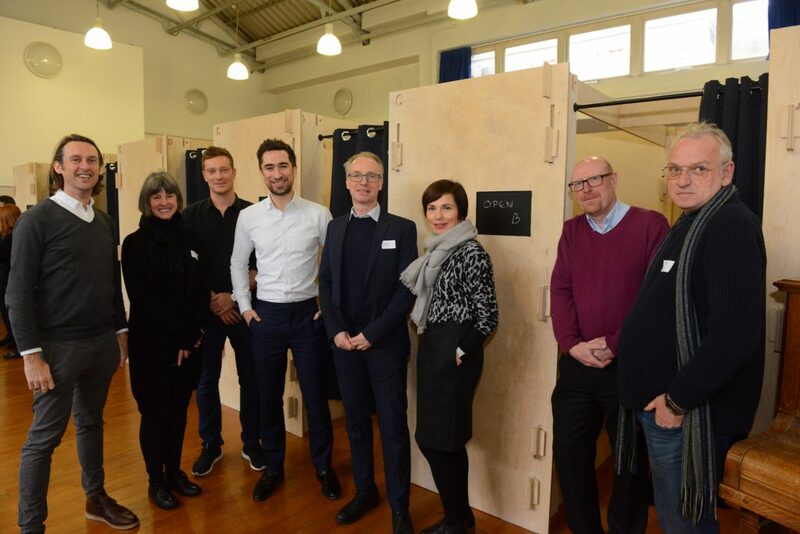 London’s first temporary indoor sleeping pods for people who are homeless were officially opened today (Friday 25 January) by Damien Egan, Mayor of Lewisham. The interlinking structures provide privacy and added security to those using them as temporary bedrooms in the 999 Club’s emergency night shelter. The pods were designed by architects Reed Watts in response to a competition organised by the charity Commonweal Housing. A prototype version of them was trialed in two shelters last year, then following the feedback from that, a new version was devised. Some 10 of the revised pods were fabricated and installed by Deptford-based fabricators Aldworth, James & Bond at the 999 Club in December 2018. Damien Egan formally launched the sleeping pods, writing “open” on the chalk name plate of one pod. The 999 Club is the Mayor’s chosen charity. The Mayor said: “No one should be forced to sleep rough, even for one night. It was inspiring to open such an innovative project which aims to improve the situation for homeless people in Lewisham. Schemes like this can prove true lifesavers by providing a safer space and respite from the streets, especially during the cold winter months. The pods have been designed to be practical, affordable to make using widely available, locally-sourced materials and easy to assemble with no tools. Commonweal and Reed Watts also plan to make the design, cutting and assembly instructions freely available so they can be fabricated by companies world-wide for charities and organisations providing emergency accommodation for homeless and vulnerably housed people. As such, the pods have attracted significant interest from charities across the UK and internationally. The pods stands 2.1 metres high, 2.1m in length and 1.9m wide, are made of 18mm thick, fireproof birch plywood and have privacy partitions with a raised platform for a mattress that acts as both a bed and a seat as well as storage space for personal belongings. Two of the side panels are shared with the adjacent pod, and a curtain on a rail can further close off the personal space at night-time. 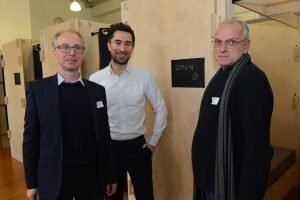 Pods have since been installed at the Pilion Trust Crash Pad in North London and further pods are proposed for a Housing Justice shelter, also in North London. Tim Hill, Creative Director at Aldworth James & Bond, said: “Making is at the heart of what we do. We first got involved in the project from an enquiry with Reed Watts. and immediately it was something we became excited about. We know the work of the 999 Club and they’re local to us in Deptford. So, when this came in from Reed Watts it’s something we got behind straight away. 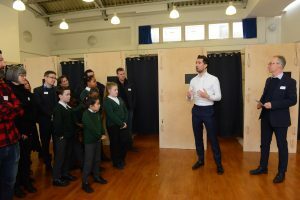 A group of children from Rathfern Primary School in Catford, accompanied by teacher Michelle Henderson-Vieira, also handed over 80 packs of sleeping bags and toiletries collected for homeless people in South London by the school’s community ambassadors’ club. The club chose homelessness as their project and successfully bid for funds from Team London Young Ambassadors. After researching homelessness and creating an action plan, the club put together the care packages using their grant money, and will undertake an awareness campaign.